Who says that laundry rooms has to be boring?? The land of the lost socks and stinky football gear (at least in my house!) needs love too. If you dread this room like the Swine Flu then your clothes aren’t the only thing that needs s fresh start. Wash that blah right out of your room!! Start with the walls. 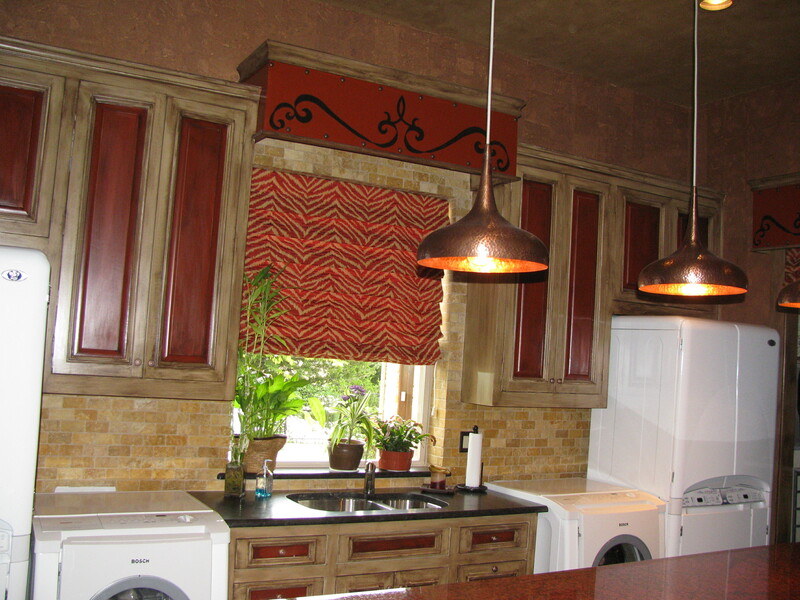 Unless you plan to entertain in your laundry room then casual, whimsical and fun is the direction. Pick a color that makes your smile for the walls. Neutrals are not allowed. 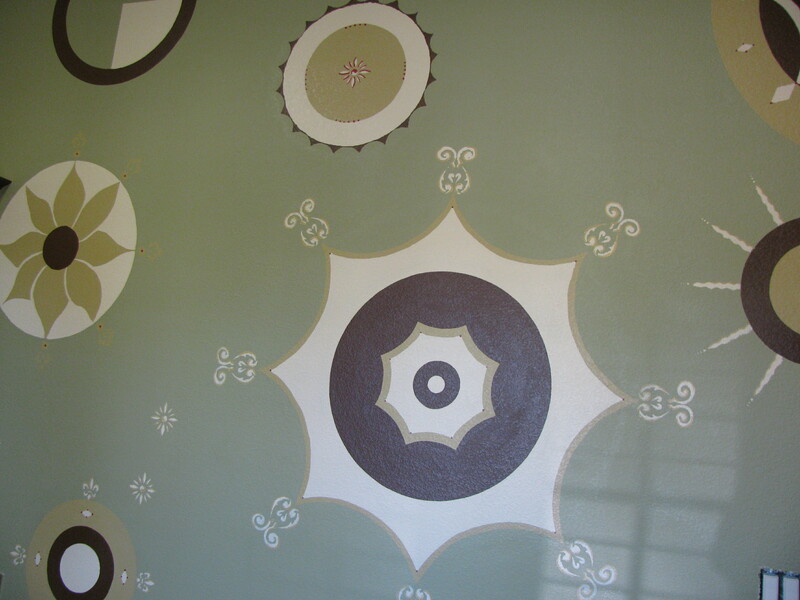 You can also go with a pattern, wallpaper or chalk paint. The key is to make this a room that you love to be in. Hang things on the walls that make you happy. Ornate frames with children’s art tacked inside are great for laundry rooms. I love the picture my daughter drew of us riding giraffes. It’s hard not to smile while riding a giraffe. I also like the idea of vacation pictures, childhood black and white pictures or even framed book pages from your favorite novel. Make sure there is a place for everything. I am definitely not the most organized person, but I love baskets and bins — they make me FEEL like I am sorting my life out. Clean up your act – and while you’re at it give your self some scenery while airing your dirty laundry.